Happy Hallowe’en, my fellow ghosts and goblins! I hope you’re up to some ghoulish fun today to celebrate! I have a girls’ night planned with the lovely Louise tonight, I just can’t wait! I absolutely adore certain Hallowe’en sweets, and simply have to have them in my celebrations every year (look out peanut butter cup, I’m coming for you! ), but I’m finding on a whole that packaged chocolates just aren’t hitting the spot for me anymore. In order to avoid the temptation of junk sweets, I thought I’d make some cookies with lovely ingredients instead. These Gluten-Free Orange Chocolate Chunk Cookies use semi-sweet chocolate along with orange zest and vanilla for a gorgeous flavour that still feels like a Hallowe’en treat! Over the past couple of months, I’ve been experimenting with a couple bags of Bob’s Red Mill Gluten Free All Purpose Baking Flour — it’s “a blend of garbanzo bean flour, potato starch, whole grain white sorghum flour, tapioca flour and fava bean flour” — and the Bob’s Red Mill website says you can use it along with xanthan gum or guar gum to replace “regular” all purpose flour (in all its gluten-filled glory) in your baking recipes. Well, I don’t use xanthan gum or guar gum in my kitchen, so I have been playing with it in recipes all by itself. And it’s working out pretty well. I have found this flour blend to be most successful in savoury recipes — it makes an incredible roux for sauces!!! I thought I’d try the Bob’s Red Mill gluten-free flour blend in a cookie recipe, and I am impressed. 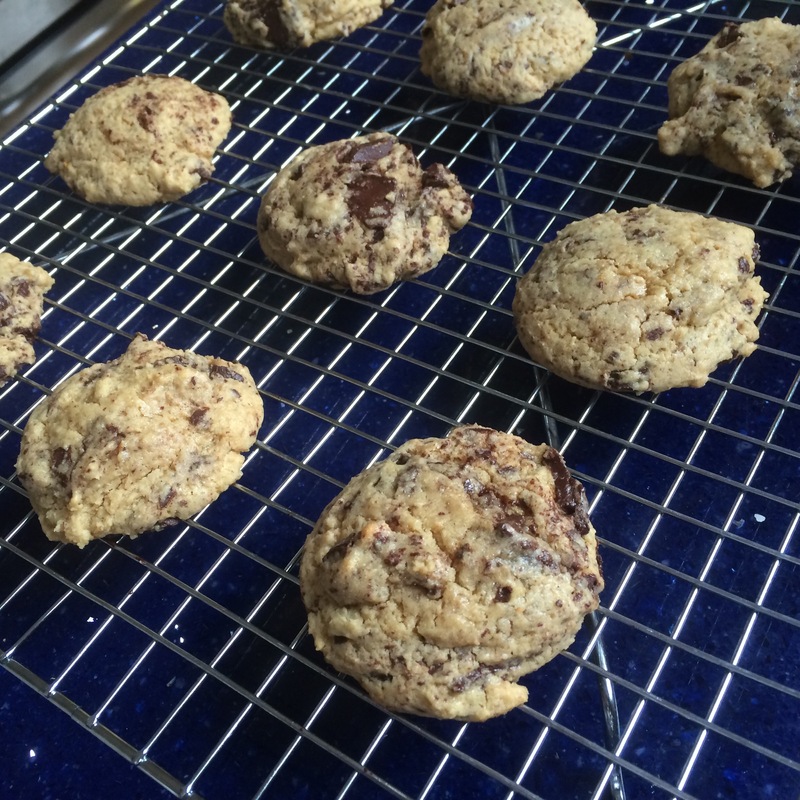 Although I would add one caveat… the unbaked cookie dough and these cookies warm out of the oven just don’t taste nice at all. They are quite bitter and I think the bean flour overpowers the other flavours. But once the cookies are completely cooled, they are pretty tasty. Which I am totally aware is a weird thing for cookies (they are usually best RIGHT out of the oven! ), but it’s how these cookies have decided to roll. So I’m letting them do their thing, and just planning on baking these a day in advance of when I really want them. I typically make up a big batch of cookie dough and bake one cookie sheet’s worth, and roll the rest of the dough into logs, and pop them into the freezer. Then when I want cookies, I just bring out the log while I’m preheating the oven to let it defrost a wee bit. Then I slice the log into rounds when the oven is ready to go, and bake at the usual temperature for the usual cooking time. I’ve got a log of these in the freezer, so now I can pull it out if we have unexpected guests or cookie cravings. These little cookies are best the next day — definitely wait for them to cool completely before eating. Adapted from Chocolate Raisin Drop Cookies in Swedish Cakes and Cookies by Melody Favish. 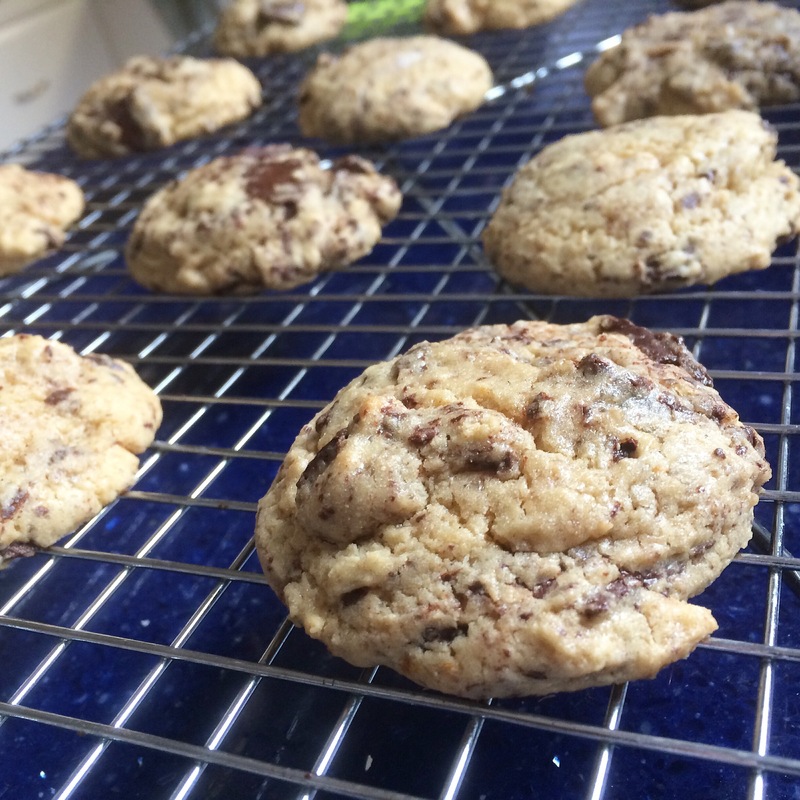 Makes 2 dozen (2″) cookies. In a bowl, whisk together the flour, baking powder, and salt, and set aside. Beat the butter, sugars, and orange zest until light and fluffy. Pour in the eggs and vanilla, and beat well to combine until smooth. Stir the flour into the dough, until you have a smooth batter. Add the chopped chocolate (or chocolate chips), and stir until the chocolate is integrated throughout the batter. Use an ice cream scoop (or two tablespoons) to drop spoonfuls of dough (about 2″ or 5cm diameter) onto the parchment-lined baking sheets. Bake at 350F for 20 minutes, until the cookies are no longer smooshy to the touch. Remove from the oven and let cool on the pan for 5 minutes. Transfer to a wire cooling rack and let cool completely before eating with ghoulish delight. Store any leftovers in an airtight container for up to three days.